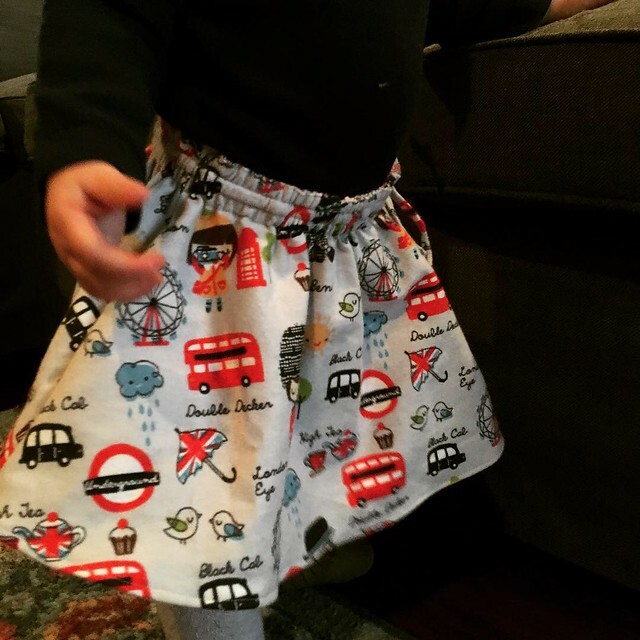 The Swingset Skirt is a lined drawstring skirt and the pattern goes from 6-12 months all the way up to a 4. The pattern had just 3 pieces and as I made the smallest size for Rosie, they were just so small. 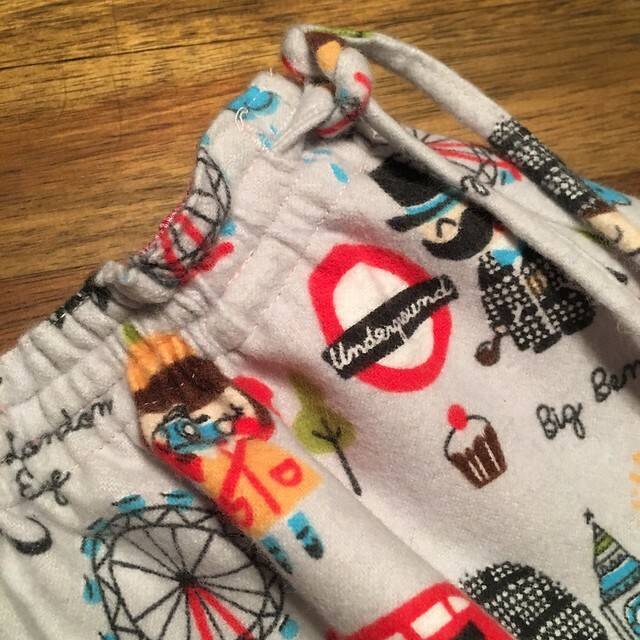 Seriously, sewing clothing for babies just makes my heart melt. It all just seems so cute! This was actually the first item that I used my new Serger on (I’d not even changed the threads yet!) and I loved how much quicker it made the whole sewing process. I put the Serger at one end of the table and my regular machine at the other end. This way I can easily switch between the two whenever I need to use a regular machine. I loved how this waistband was constructed of three channels; 2 for the elastic and 1 for the waist tie. 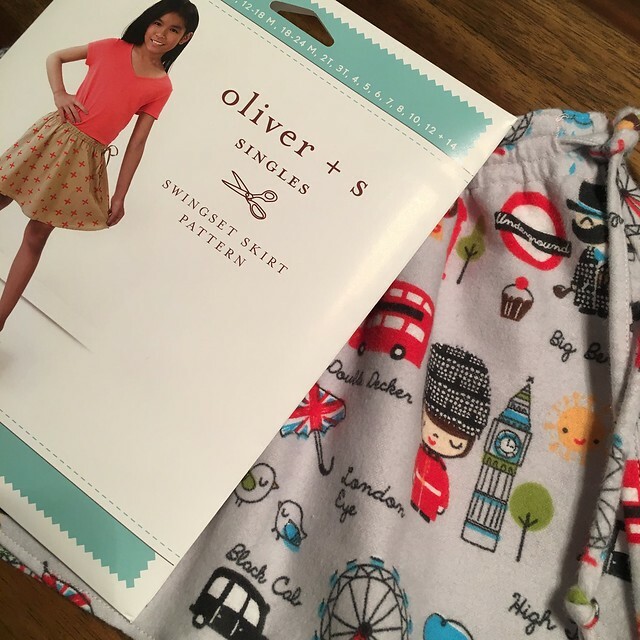 I had some London Icon flannel and a small checked cotton in my stash. 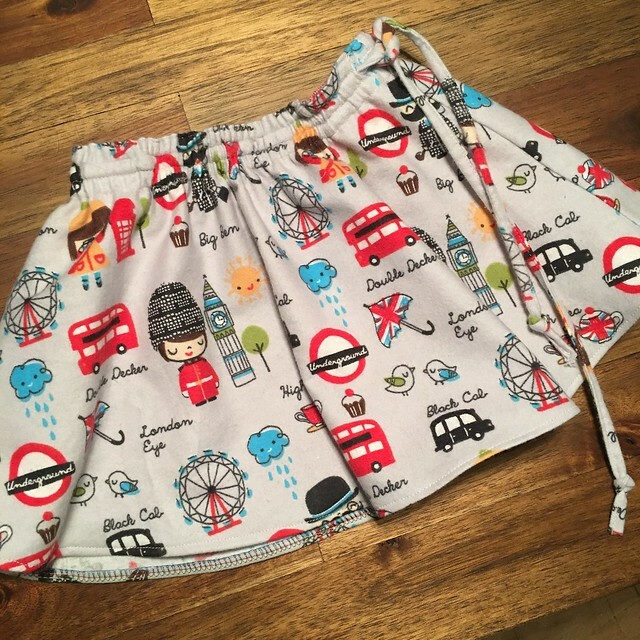 The skirt itself doesn’t really need to be lined but it makes a great addition to the skirt, and makes it simpler to create the channels around the waistband. My only regret with this one is that I didn’t double hem the lining as the serged edge does stand out slightly. I’ll know for next time though! 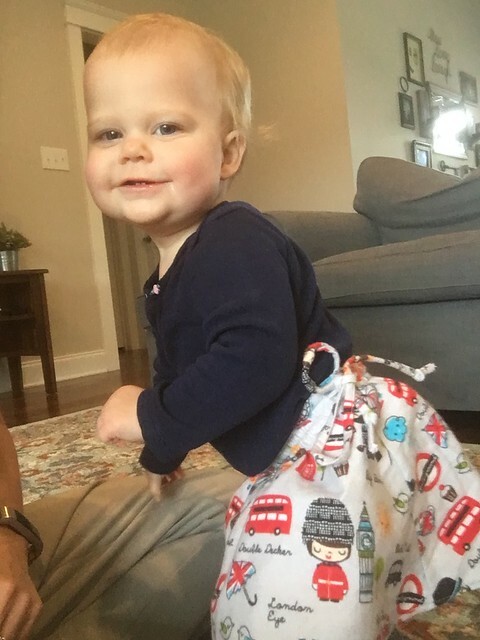 We’ve already taken this skirt on a few outings and it has received quite a few compliments! I’m going to make the next size up next time so we can get a little more wear out of it. This one is starting to run a little tight already. 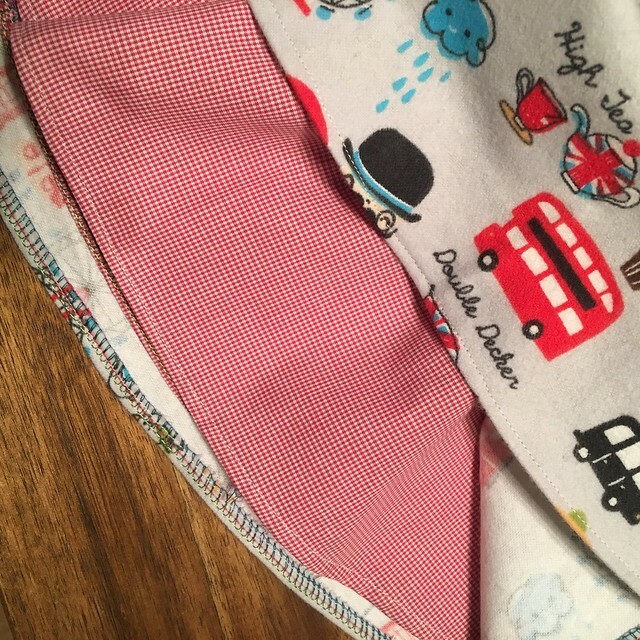 Fabric: Cotton Flannel from Joanns. Got this when the flannel was on sale for $1.50 per yard. WOW! Rosie has grown since I was here last. Looks like she’s pleased with her skirt.